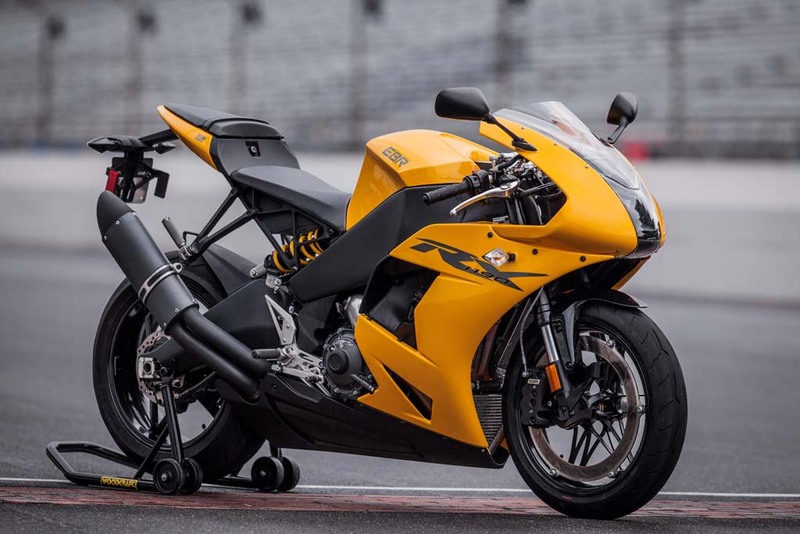 ERIK Buell Motorcycles (EBR) has begun making bikes again at its US factory in East Troy, Wisconsin, starting with production of its 1190RX and 1190SX models, which are scheduled to be ready by March 17, when there will be a press day for journalists. Next week, we’ll find out pricing information for the new bikes, which EBR has said will be ‘aggressive’ – something that will undoubtedly be necessary if it’s to re-establish itself. There will also be news about warranty information for the newly produced bikes, and even information about its plans for racing. Once it has new bikes to sell, EBR’s next step is to identify the top dealers in the US and work with them to relaunch brand in the US because with bikes starting to come together, there needs to be an infrastructure in place to sell them. To celebrate new bikes rolling off the EBR production line, there’s also going to be a public launch party at EBR’s facility the day after the press launch. Liquid Asset Partners bought EBR at an auction in January after the struggling firm got into financial difficulty and was forced to close its doors in April 2015. LAP announced at the start of February that the firm was moving into the next stage of its revival with parts supply opening up again followed by production of bikes.